THERMAL OIL | Danstoker . The Danstoker hot oil boiler systems are specially designed for the plant in question and are built according to DIN 7454. 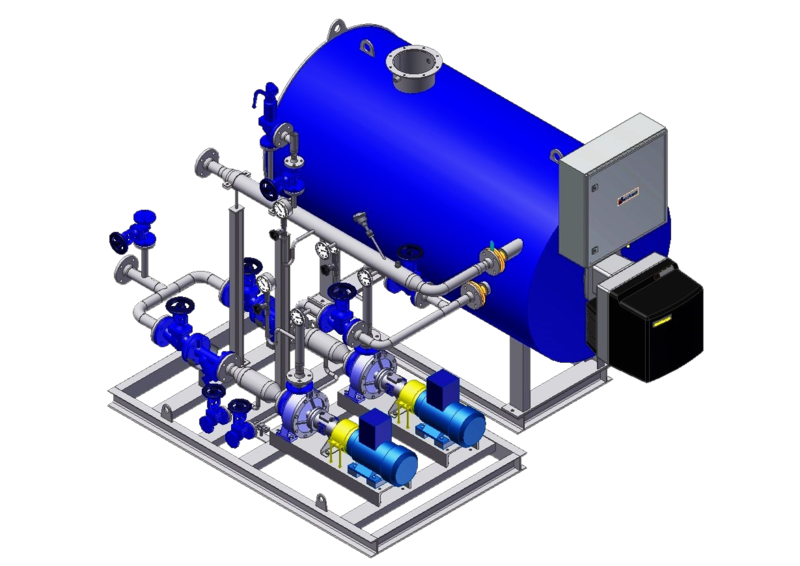 A hot oil boiler is often used instead of traditional steam and water boilers, with oil as the heat-transferring media, and is selected typically for its ability to achieve a higher temperature at a lower operation pressure. As per the steam table for conventional water and steam boilers, high steam temperatures require equally high pressures. 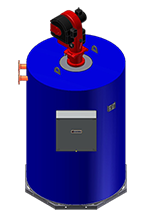 With a pressureless hot oil boiler, temperatures of up to 300 °C may be achieved – with a pressurized hot oil boiler temperatures of up to 400 °C may be achieved. Hot oil boilers are fired with electric power, gas, diesel oil, heavy oil or biomass. Danstoker’s range of products also comprises mobile containerized plants fitted with hot oil boilers or incinerators for combustion of undesired gasses and odours.